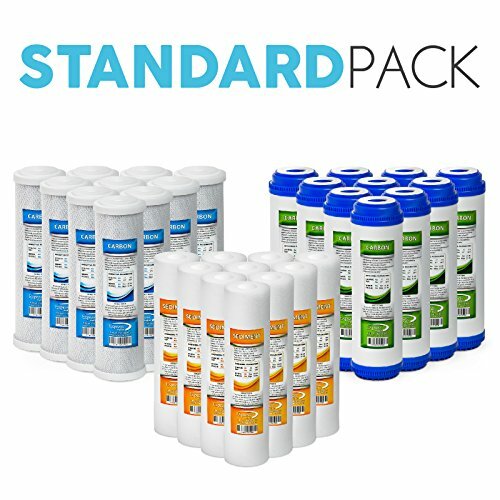 Express Water – Reverse Osmosis and Under Sink System Replacement Filter Set – 30 Filters with Carbon (GAC, ACB) Filters and Sediment (SED) Filters – 10 inch Standard Size Water Filters by Express Water at Wakaf Center. MPN: FLTSETC10G10S10. Hurry! Limited time offer. Offer valid only while supplies last. Make the purest drinking water with your own home system. Great in the kitchen: Improve the taste of your cooking, coffee, ice, and drinks.